It always seems to be the case that whenever the Doctor promises a delightful holiday to any of his Companions, it always turns out to be a disaster. It's a bit like Mary Richards' parties on The Mary Tyler Moore Show: no matter how hard Mary tries to give a good party, they always turn out outrageously wrong. Similarly, the Doctor can promise a nice planet on which to have a few days of relaxation, but he either gets the planet wrong (Carnival of Monsters) or the planet is anything but a respite (The Leisure Hive). It's almost become a cliche on River Song...I mean, Doctor Who. This is why when the 11th Doctor (Matt Smith) told his Companions Amy Pond (Karen Gillan) and her husband Rory Williams (Arthur Darvill) he was going to take them for a nice vacation to the Second-Best holiday destination, I knew we were not going to have a story involving them drinking mint juleps while sitting on a veranda getting the vapors. The Girl Who Waited asks some good questions about the effects (both physical and psychological) about travelling with the Time Lord, and had good performances from the Companions. However, it wasn't a great story. As I've stated, the Doctor takes his Companions to what he THINKS is a great holiday resort, but wouldn't you know it: it's just a bunch of white rooms. Amy goes back to the TARDIS to get her cell phone, while the Doctor and Rory go on ahead. Rory pushes the Green Button to go into another room. Amy comes out...and pushes the Red Button. Obviously, they are in two different rooms, but we soon learn they are in two different TIMES. The planet they are on, Apalapucia, is under quarantine due to the Chen-7 virus. This is a one-day virus, meaning that it will kill you in one day. Under this quarantine, the citizens have one of two options: stay with the diseased for one day (that's the Green Anchor button) or watch them live their life out (said Red Waterfall button). The Chen-7 virus affects all two-hearted beings, and guess who happens to have two-hearts? With that, it's now up to Rory, with the Doctor only watching and guiding him, to rescue Amy. Well, there's a hitch or two. Hitch One are these Handbots roaming around, informing us that what they are doing is an "act of kindness", one that will unfortunately kill (perhaps this is where the expression 'kill with kindness' comes from). Hitch Two is that once Rory and the Doctor find Amy, while it's been minutes in their timestream, it's been 36 years for Amy. In those thirty-six years, she's grown old, bitter, and angry, especially at the Doctor for not rescuing her until now. Rory, seeing the woman he loves in such a state, ain't too happy with Doc either. Rory now faces an impossible decision: which Amy to rescue? They make such a cute couple, don't they? The Girl Who Waited is quite a good episode, in particular because we get to focus more on the characters and less on the external threat (besides, having a story that didn't have River Song already bodes well for any Series/Season Six Doctor Who). If anything, The Girl Who Waited is a bit of a misnomer, given that the story is more about the long-suffering Rory than about Amy. Rory has always been The Boy Who Waited. Rory has waited for Amy to realize that he is eternally and thoroughly besotted with her. Rory has waited for Amy to be released from the Pandorica, keeping a determined and protective vigil through two millenia (as opposed to River Song, who is merely there to kill the Doctor). Rory has waited for Amy to put aside her fascination/fixation with the Doctor (there are few men who would be so willing to travel with the man who is their chief rival for his wife's affection). Rory has endured the miseries of the damned to just breathe the same air as Amy Pond, a woman so flippant towards his undying devotion that she wouldn't even countenance giving their child his name (let alone taking his). 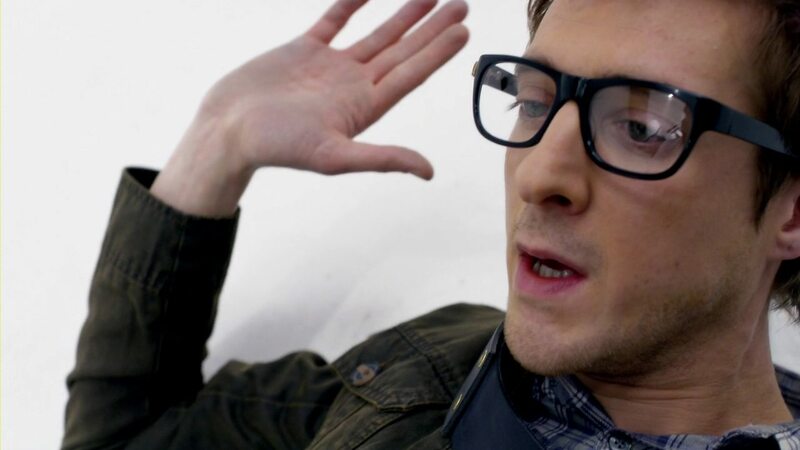 In fact, Rory is so devoted to Amy that it appears HE took HER name and doesn't appear to fazed if he is thought of as Rory POND rather than Rory Williams. Even after she becomes so bitter and old, Rory still is in love with Amy--any and all Amys. He will not leave either Amy (but by the end, we see where his heart truly lies). He has died four times for her, been turned into an Auton for her, spent two thousand years waiting for her, endured being mocked by her for most of his life (and apparently, even now), and gone through time and space for her...it almost makes one think that despite the build-up Amy Pond has been given as this great Companion, it's Rory Williams who turns out to be a great person. All the travails Rory has undergone show him to frankly to be too good for her, not the other way around. How odd that as I wrote and reflected on The Girl Who Waited, my opinion on Rory Williams went up tremendously. No, I don't think he's anywhere near the Top Ten of Companions, but in terms of good men, Rory is certainly in the Top Five. It almost makes me feel bad I have a Rory Williams Death Count (although given how often the various Who writers appear to use him as an easy way to create drama by killing him again...and again...and again...). However, in The Girl Who Waited, he is struck down by a Handbot, which I thought would lead to death. Amy quickly revives him, so while it's not strictly another instance of Rory being killed, it veers dangerously close to it. Darvill still manages to bring a slightly comic relief to his slightly bumbling Rory, but his performance is a rich one, where Rory is allowed to take a more dominant role in this Doctor-lite episode. He is both heroic and tragic, even more so given how Old Amy would rather not help her younger version if it could possibly make Rory happy. He's been through so much, suffered so much because of and for her, you'd think she'd be a little more appreciative. Darvill is simply splendid in The Girl Who Waited, a man who will not give up on the woman he loves no matter what. He rages at the Doctor, he mourns the loss of Amy, he expresses heroism and heartbreak. It's nice to see him develop into a much better character than the caricature he usually is (although he still has some of that). Another strong performance is from Gillan as Amy. She has to play both the younger and older versions of herself, and with a bit of help from the old-age make-up, she truly appears older. Gillan also acted the anger of the older Amy excellently, bringing a bitterness that is almost frightening. Given that Smith had very little to nothing to do in The Girl Who Waited (conveniently put out of the story with the greatest of plot devices: if he goes out, he dies), it's hard to gauge how good he could have been if he had been asked to carry the burden of the story (of course, given that for most of the series/season, it was River, not the Doctor, who was the focus of attention, it's something Smith should be used to by now). Nick Hurran's direction of the actors is top-rate, and Tom MacRae's screenplay has been one of the better Series/Season Six stories to come down the pipe in a while (especially after the River Song debacle). MacRae has the audience focus on the effects all this time travel has on the Companions, how they are separated by time with devastating effects for all involved. It also turned our attention to Rory, a character that is so easily dismissed that he can be killed off several times with no one batting an eye. As I watched, I thought The Girl Who Waited was clever (in particular in focusing more on the main characters rather than their obstacles), and well-acted. However, I can't say that it is by any means perfect. The Handbots didn't appear to be a great threat (and somehow, the name Handbots is unfortunately reminiscent of Fembots--sorry, that was what ran through my mind). It also has me asking one or two questions. First, in all the thirty-six years Amy has been successfully dodging said Handbots, she couldn't find the central console that would enable her to become Overlord of Apalapucia? Second, and perhaps more damning, is the Button business. Now, I know that if she HAD selected the Green Button rather than the Red Button we wouldn't have had a story, but when Rory tells her to "push the button", wouldn't the logical thing for Amy do to is simply ask, "Which button?" before pushing either of them? I think there could have been a better way for Amy to be separated from Rory and the Doctor (say, the Handbots separate the men and women or Amy finds herself in quarantine when she steps out of the TARDIS after the men). I couldn't help think that if I had been there, unsure which button to push, I would have asked, "Which button?" rather than just pick one. We could have had a scene where the Doctor and Rory start discussing which button they did push, not remembering. That, to my mind, would have provided a more logical way for her to have hit the wrong button--as they continue arguing over whether it was the Red or Green button, Amy becomes so frustrated she hits one. There were also puns I didn't think too funny or clever. For example, there is the Handbot's literally "killing with kindness" business, or when we see the companion Amy has fashioned for herself from a disarmed Handbot. When I say disarmed, I mean disarmed in every sense of the word; her giving the "disarmed" Handbot the name Rory, then telling the human Rory that the Handbot Rory was more of a pet than a companion, is just another way to slap her eternal Last Centurion. How much abuse he endures at her cold Scottish hands. Finally, a minor point that is probably not the fault of MacRae or Hurran. The white chambers in The Girl Who Waited were eerily reminiscent of Episode One of the Second Doctor story The Mind Robber, where the Companions similarly appear to be lost in a world of white. I know, this is a bit nitpicky, but I couldn't help think on it. Most who only watch the revived series won't think on (or maybe even be aware of) The Mind Robber, so I'm not making it a big deal. However, it was a bit distracting to me. The Girl Who Waited is on the whole a good, strong episode. With this and Night Terrors, one wonders why Steven Moffat and Company think we need an arc that connects most if not all stories together into some faux-epic. This is when Doctor Who works best: when it's allowed to have episodes that excite, thrill, terrify, and work alone and apart from each other. In the end, The Girl Who Waited isn't the best Series/Season Six Who story, but perhaps in terms of improvements over what's come before, the wait may finally be over.